Telecoms regulator Ofcom has reported a 9% rise in the number of machine-to-machine (M2M) mobile data connections in the UK. There were 5.6m M2M connections in 2013, according to the regulator. The increase was revealed in Ofcom’s latest _9e5b4e60_. Ofcom defined M2M as cellular communications between machines, rather than between people, including “uses such as smart electricity meters, connected office equipment and connections with company vehicle fleets, provided directly by mobile network operators”. Overall, UK mobile data connections, including M2M connections, increased by 6.5m or 13.3% to 55m in 2013. In other Ofcom findings, the number of superfast broadband connections increased by 58% to 6.1m in the year to March 2014 while the proportion of all fixed broadband connections – classed as superfast – increased by 9.2% to 26.7% over the same period. Data provided to Ofcom by the mobile providers showed that 73% of UK premises were in areas with 4G coverage from at least one provider in June 2014. Meanwhile, the report revealed that total operator-reported telecoms revenues fell by £0.6m to £38.6bn in 2013. 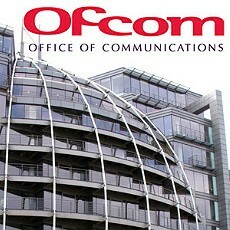 Ofcom’s director of research James Thickett said that technology is actually improving the work-life balance for some.